Phone # found in Directory. 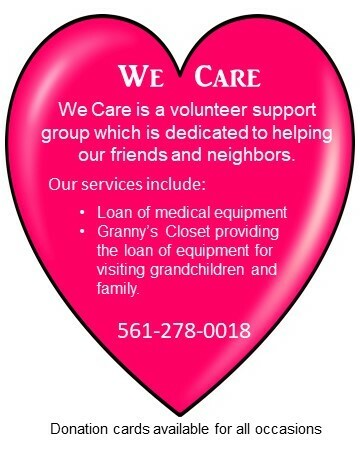 In addition to the home care equipment, this group operates GRANNY'S CLOSET to provide baby and children's equipment such as strollers, car seats, etc. for our precious guests. We are supported by donations and a grant from the Board of Directors and staffed by devoted volunteers.